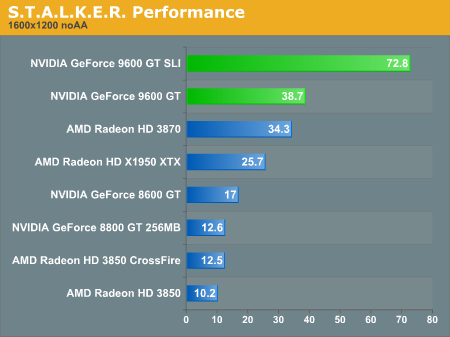 Just looking at HUKD,its apparent many have not realised the card has less shaders and are using GTX1060 6GB comparisons to the RX470 4GB to say that is how the GTX1060 3GB will perform. We saw the same with the 8800GT 256MB,and 8800GTS 320MB - reviews were all positive and then you started to see the issues when the cards hit VRAM limits quicker and it was quietly pushed under the carpet. What is worrying is that OcUK and others have this at £190 to £200 and above. This is not a cheap card and the issue is that Steam has quite a few cards like the GTX970 with 4GB of VRAM,so games will no doubt push over 3GB for better settings as time progresses. We have two new consoles with more graphical grunt coming out soon,so I expect cross-platform titles will also start to push better graphics. So I am not sure whether a 3GB card is that good a deal now. I wish they had even done something like they did with the GTX660 - have another 1GB of RAM addressed at a lower speed(not to the slowness of the GTX970 OFC which made it pointless). The historical precident is there - this card will do worse and worse as time progresses. Plus,the GTX1060 6GB can be had for £40 more - more shaders and more VRAM. This card will be a poor purchase over time. The 8800GT 256MB,8800GTS 320MB,GTX460 768MB,HD3850 256MB,HD6950 1GB and HD7850 1GB all say hi! All looked reasonably fine at the start and got progressively worse and worse. A great example is the 8800GT 256MB. Look at the 9600GT 512MB against the 8800GT 256MB. Remember the 8800GT had 112 stream processors and the 9600GT had 64 stream processors. The 8800GT 512MB was generally faster than a HD3870 512MB. Remember the 8800GT 512MB was rebadged as the 9800GT 512MB during that time. 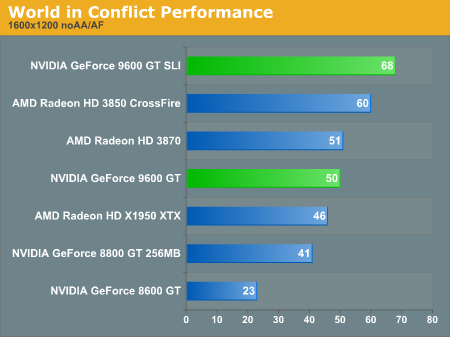 Both the 9600GT and HD3870 had weaker cores,than the 8800GT. 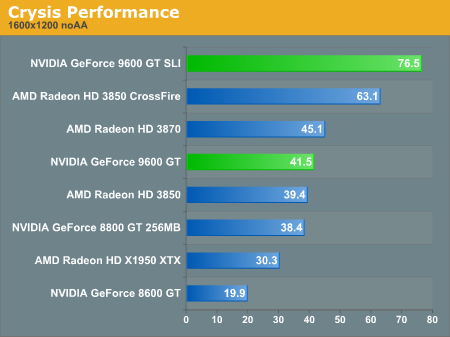 Hitting VRAM limits tanks performance,as the card will need to use slower system RAM. Yes,you can turn down settings,but it defeats the whole point of spending £200 on a graphics card IMHO,and as time progresses games will tend to use more and more VRAM. That is a 64 shader core 9600GT 512MB beating a 112 shader core 8800GT 256MB,and the former is only clocked 50MHZ higher too. The 8800GT 512MB had no such issue beating the 9600GT 512MB or HD3870 512MB. History is going to repeat itself over time. Last edited by CAT-THE-FIFTH; 05-09-2016 at 04:46 PM. Plus some other testing from other sites has shown issues with the card. Actually as DF said,get the GTX1060 6GB,which chimes in exactly with what I said. Guru3D said the same. 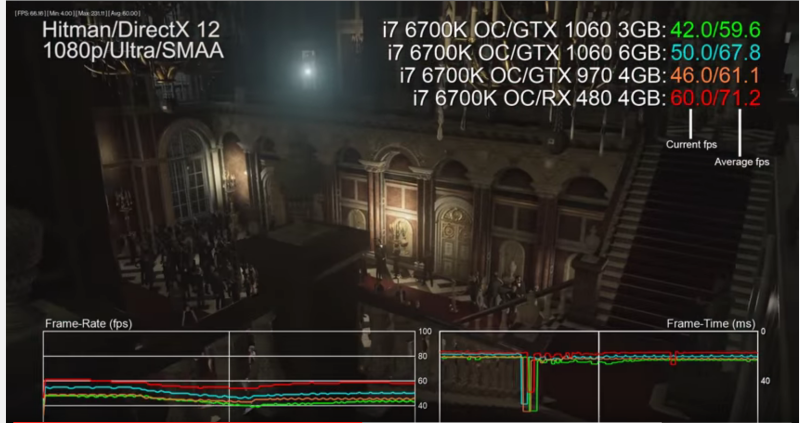 In Hitman the GTX1060 6GB is 14% faster overall it appears,and it gets bigger as the resolution increases too. 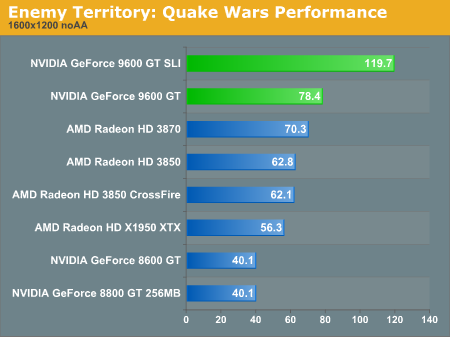 Remember,Nvidia says it should be a 5% difference. 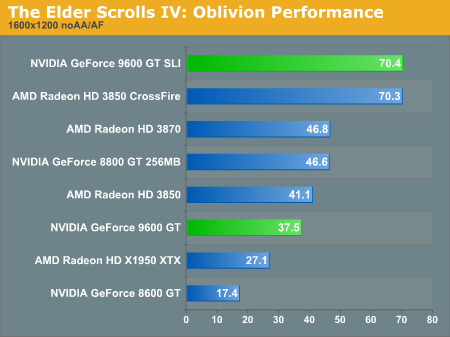 Both DF and Guru3D show it drops down to slightly below a GTX970 in the game too. DF said there was stuttering for the 3GB card. Guru3D is testing a pre-overclocked card with better cooling against the FE GTX1060 6GB. The 3GB card is pointless for such a small saving - it will get worse and worse. 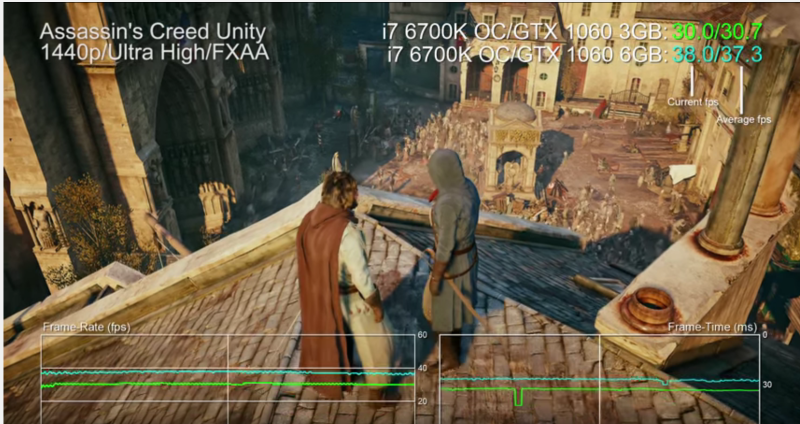 Games are going to push even more VRAM over the next couple of years. In fact Deus Ex,seems to also push VRAM usage. 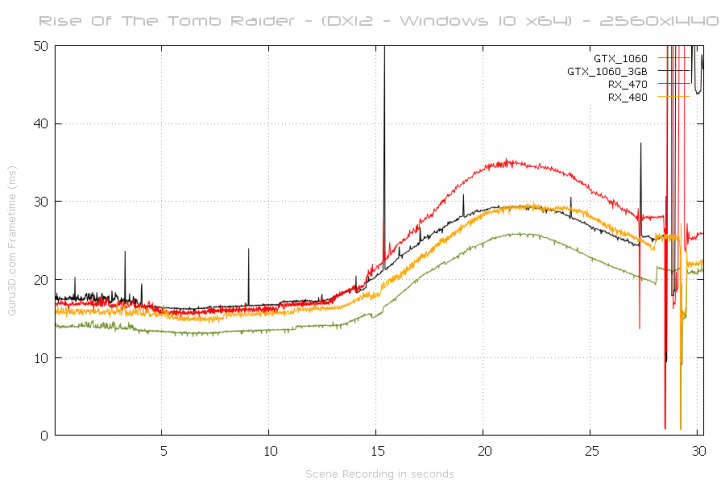 History is not on the side of VRAM gimped performance cards. Personally it won't affect me(or people I know in real life as I will tell them why spending that extra is worth it),but it makes me feel sorry for people who get the impression it will be fine,as its their money which is being wasted as time progresses. The same goes with the RX470 which is now more like £190 to £200 too. You might as well get an RX480 8GB. At least the 8800GT 512MB was 40% more expensive than a 8800GT 256MB. The GTX1060 3GB is not massively cheaper than a GTX1060 6GB. £30 to £40(or even £50) on a £200 card over two to three years is nothing. 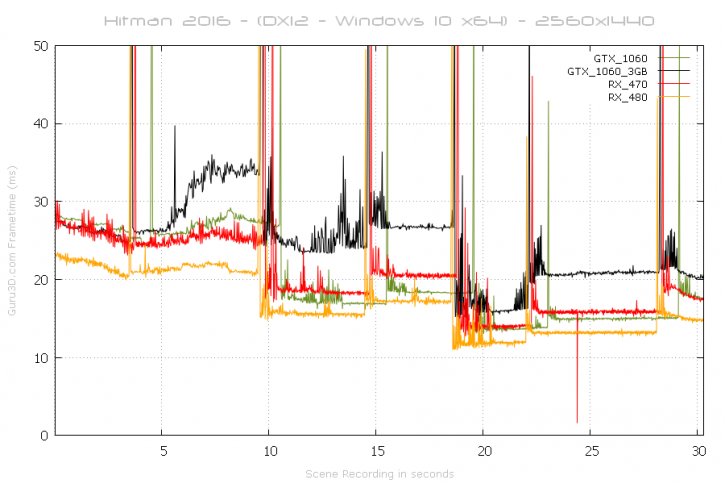 Its even more hilarious that the GTX1050 will be a 4GB card too - millions of GTX970 and GTX980 cards have over 3GB of VRAM and on Steam its either 1GB,2GB or 4GB of VRAM too. My prediction is people will argue on how 3GB is "enough" and then it will be forgotten about when the next cards are launched. Last edited by CAT-THE-FIFTH; 05-09-2016 at 04:45 PM. Yup, no way I'd get a 3GB card, it's retarded. So many titles already use more than 3GB and it's just gonna increase. I'm glad this came out at this price point though as it's going to reduce the price of 970s, which IMO is an absolutely perfect 1080p card if you can get it for around £170, and with them currently being 190 or so, I'm hoping this'll push it down that far. 1. 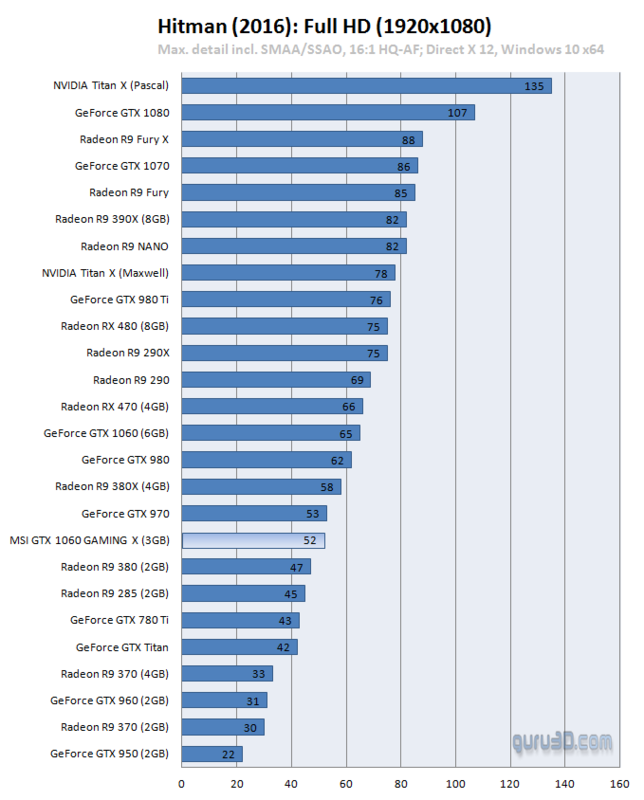 Most games do take advantage of availability of huge vram. That means, textures will get loaded and less loading of textures is done is background. Having 3 Gb of vram isn't necessarily bad, it just means, that there will be more emptying, loading textures happening than in the 6 gb version of 1060. -as stated by anandtech /the-nvidia-geforce-gtx-1080-and-1070-founders-edition-review new to delta color compression with Pascal is 4:1 and 8:1 compression modes, joining the aforementioned 2:1 mode. Unlike 2:1 mode, the higher compression modes are a little less straightforward, as there’s a bit more involved than simply the pattern of the pixels. 4:1 compression is in essence a special case of 2:1 compression, where NVIDIA can achieve better compression when the deltas between pixels are very small, allowing those differences to be described in fewer bits. 8:1 is more radical still; rather an operating on individual pixels, it operates on multiple 2x2 blocks. Specifically, after NVIDIA’s constant color compressor does its job – finding 2x2 blocks of identical pixels and compressing them to a single sample – the 8:1 delta mode then applies 2:1 delta compression to the already compressed blocks, achieving the titular 8:1 effective compression ratio. Therefore it is very efficient in Pascal, the 3Gb vram indeed shouldn't really limit you. The proof for it is among the lines, when you look at comparisons, and game benchmarks you see a clear winner here. How did the reviewer come up with 169 Gtexel Texture fillrate in the GPU-z screenshot? This card is only capable of ~120Gtexels!